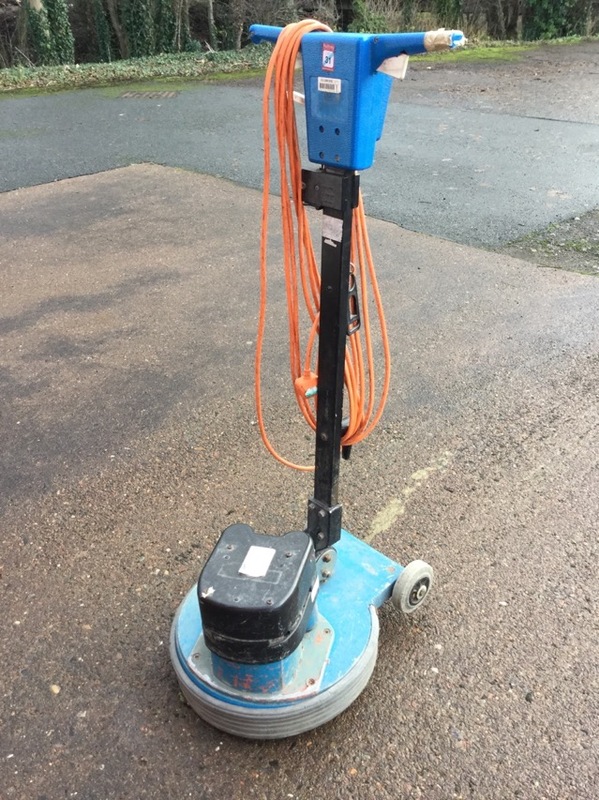 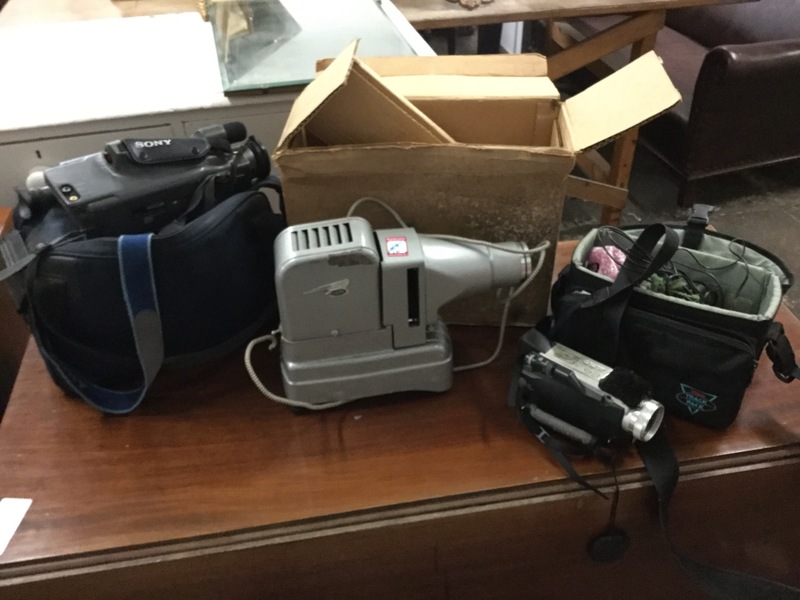 An electric floor polisher with long power cable. 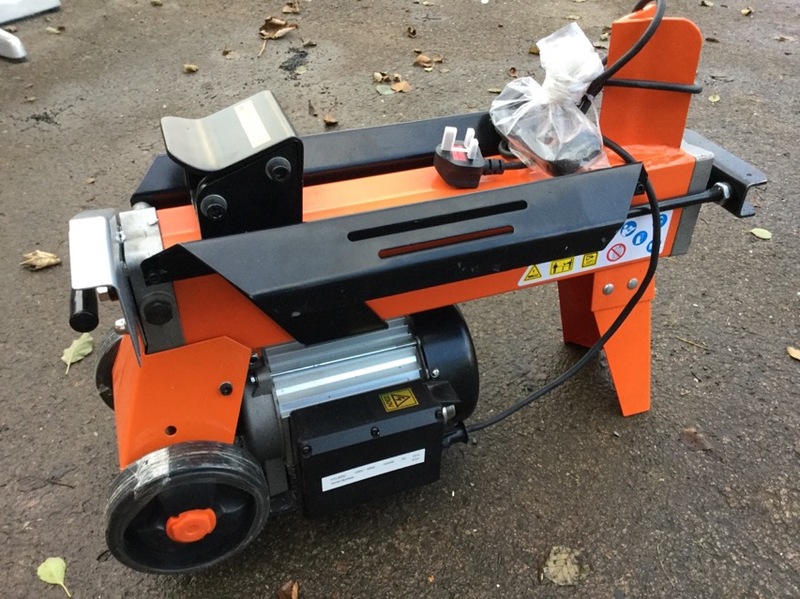 A brand new electric log splitter on stand, with trolley style wheels - serial number YYL8032. 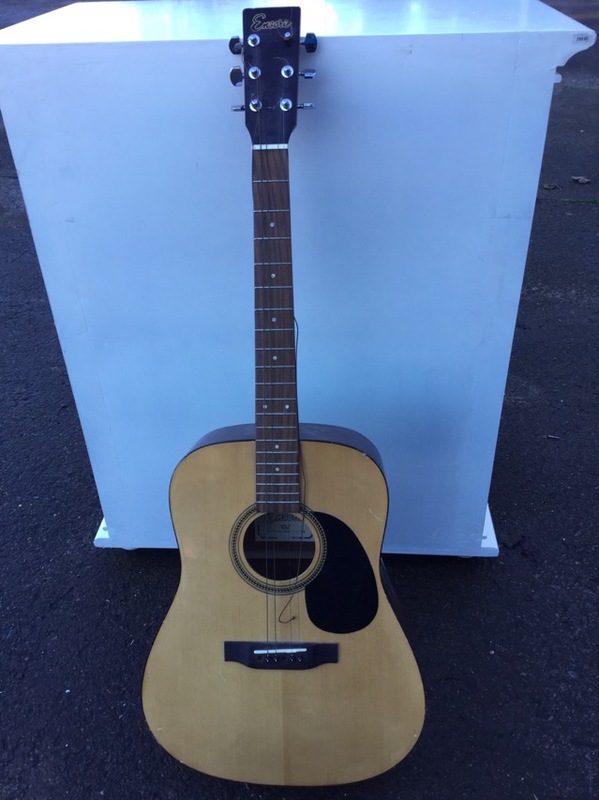 An Encore acoustic guitar, model no W255, complete with Italia soft case.